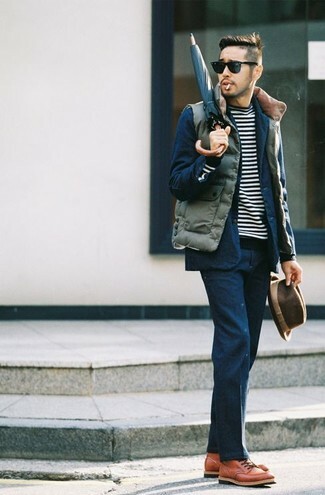 For a nothing less than incredibly stylish outfit, opt for an olive quilted gilet and a navy suit. Break up your ensemble with more casual shoes, like this pair of tobacco leather casual boots. This combo of a navy trenchcoat and navy jeans is super easy to pull together without a second thought, helping you look amazing and ready for anything without spending a ton of time searching through your closet. When it comes to shoes, this outfit is round off wonderfully with oak street bootmakers lakeshore cap toe boot. 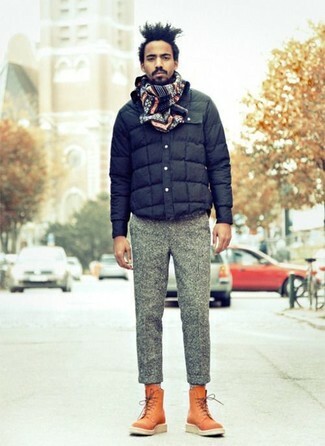 Try teaming a navy quilted bomber jacket with grey wool dress pants for incredibly stylish attire. 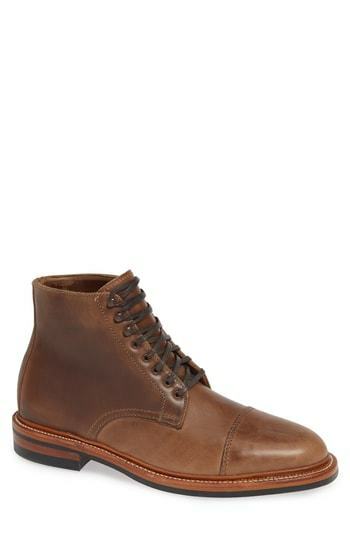 Grab a pair of oak street bootmakers lakeshore cap toe boot from Nordstrom to make the ensemble more current. This combination of a beige trenchcoat and navy jeans is super easy to pull together in seconds time, helping you look awesome and ready for anything without spending too much time combing through your closet. When it comes to shoes, this outfit is complemented nicely with oak street bootmakers lakeshore cap toe boot. For a casually elegant getup, team a black pea coat with black jeans — these two pieces play really well together. 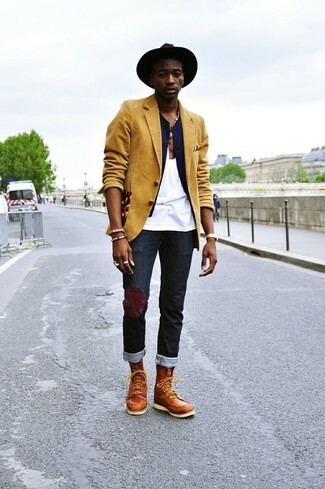 Finish off with tobacco leather casual boots and off you go looking smashing. 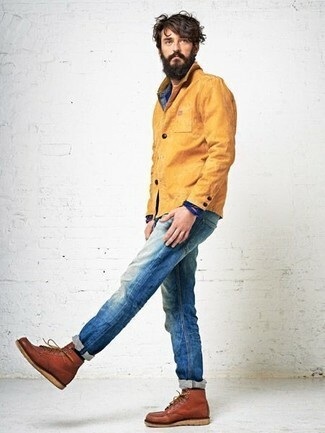 If you're in search of a casual yet on-trend ensemble, dress in a mustard barn jacket and blue jeans. Both pieces are totally comfortable and will look great paired together. You could perhaps get a little creative in the footwear department and dress up your ensemble with oak street bootmakers lakeshore cap toe boot. 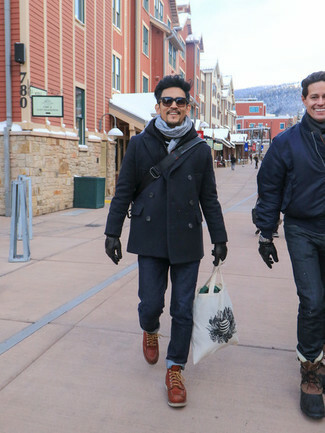 For a casually elegant look, go for a navy pea coat and navy jeans — these two items fit really good together. When it comes to shoes, this getup pairs wonderfully with oak street bootmakers lakeshore cap toe boot. Such garments as a mustard blazer and black jeans are the great way to inject extra elegance into your day-to-day rotation. 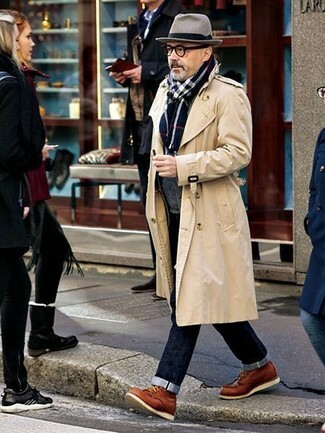 When it comes to shoes, this outfit is round off nicely with oak street bootmakers lakeshore cap toe boot. 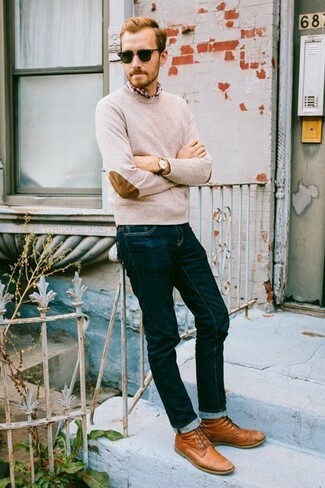 This combo of a beige crew-neck sweater and navy jeans is clean, dapper and very easy to copy. You could perhaps get a little creative when it comes to footwear and lift up your outfit with oak street bootmakers lakeshore cap toe boot.